World Baseball Softball Confederation (WBSC) President Riccardo Fraccari has called for a second 2020 Olympic venue in the Tokyo Metropolitan area to take priority over plans to consider holding games in Fukushima. It leaves baseball and softball poised to be the only sports due to appear at Tokyo 2020 for which venues will not be finalised by the end of this year. A two venue plan was proposed when both disciplines were added back onto the programme at International Olympic Committee (IOC) Session in Rio de Janeiro in August. The Yokohama Stadium has already been named as the principal venue and is due to be confirmed at IOC Executive Board meeting, due to start in Lausanne on Tuesday (December 6). But plans for a second venue were thrown up in the air in October when IOC President Thomas Bach suggested Fukushima following a meeting with Japanese Prime Minister Shinzō Abe. They believe this would deliver a major statement about the power of sport after the region was devastated by a 2011 earthquake and tsunami and accompanying nuclear accident at the Fukushima Daiichi Nuclear Power Plant which killed around 16,000 people. Tokyo 2020 have strongly supported this proposal and discussions during the IOC Coordination Commission inspection visit, which closed here yesterday, focused more on which venue would be used within Fukushima than on other options. Fraccari, however, has made it clear that he sees a venue within Tokyo as more important. This is for logistical reasons rather than any lingering safety concerns over high radiation levels in Fukushima. 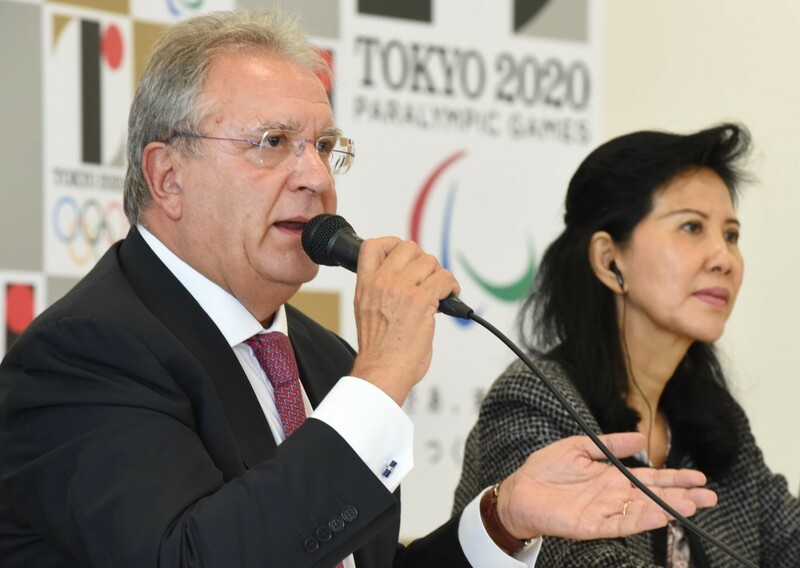 "Based on the single group round-robin format and two venue plan that we presented from the beginning, it is highly critical at this stage to confirm with Tokyo 2020 the second venue needed around the Tokyo Metropolitan area before considering Tokyo 2020's proposal to add Fukushima as a site," the Italian told insidethegames. "And while the WBSC is committed to social responsibility and sending a powerful Olympic message, as we hosted our under-15 Baseball World Cup there this year, we must ensure that playing travel games and the scheduling for any game in Fukushima will not compromise the Olympic baseball and softball events. "Or that it will add any undue burden on the athletes, as we aim to deliver the best-ever international baseball and softball tournaments in history at Tokyo 2020, in order to earn a place and remain in the Olympic Games." It is thought the pressure of travelling the 240 kilometres distance to Tokyo and the 320km to Yokohama from Fukushima during the competition would add an unfair burden on athletes. A compromise could involve just the opening games of the tournament being held in Fukushima, although even this would cause problems because some teams would be forced to undergo long journeys which others would avoid. If this does happen, a second venue in Tokyo would still be required as it would take too long to hold all games in one principal venue. There are many existing venues in the Metropolitan area which it is thought fulfill the requirements for hosting Olympic competition. It remains to be seen as to what extent the WBSC will be able to argue this case, however, considering the widespread support for the Fukushima option during the IOC Coordination Commission visit. Discussions here centred around which of three venues in the region would be used. According to Nikkan Sports, those in the frame include Ken'eiazuma Stadium in the city of Fukushima, the Kaisei Mountain Stadium in Koriyama City and the Iwaki Green Stadium in Iwaki City. Tokyo 2020 President Yoshirō Mori claimed that city Governor Yuriko Koike must make the final decision. "There is no conclusion [between these three]," Mori said. "I would like the Governor to decide the condition, the Governor knows that and we will be waiting for further progress." Baseball and softball were dropped from the Olympic programme after Beijing 2008 but were voted back on as a combined package for Tokyo 2020 in August. Six team competitions will take place in both sports. The popularity of baseball in Japan means it is expected to be one of the most widely supported and followed events on the programme.